The registration desk is located in the foyer area outside the main conferencing ballroom at the Hotel Grand Chancellor. 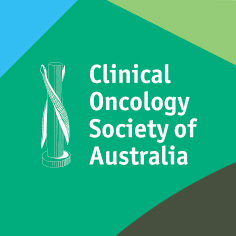 Any enquiries regarding your participation in the COSA 2015 ASM can be directed to the ASN staff onsite. Details of your presentation time can be found on your registration dashboard or in the program. Talks need to be loaded in the speaker preparation room and a technician is also available. Please ensure you bring your presentation with you on a USB well before the session you are participating in commences so it can be loaded and tested. There will be a mouse pointer available at the lectern if required. You should have received notification of your poster session via email. It is advised that all poster presenters stand by their poster during the session. Please make sure your poster is put up on the day you are presenting and then taken down at the end of the day. Velcro is available on the poster boards and also at the registration desk to fix your poster to the boards. There is complimentary wifi available for COSA delegates within the conferencing centre of the Hotel Grand Chancellor for the duration of the conference. There will be a box at the registration desk to place your used lanyards and name badges in if you do not wish to keep them.